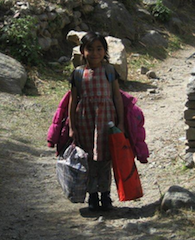 Sanu with her bags packed and ready to go home to her family. 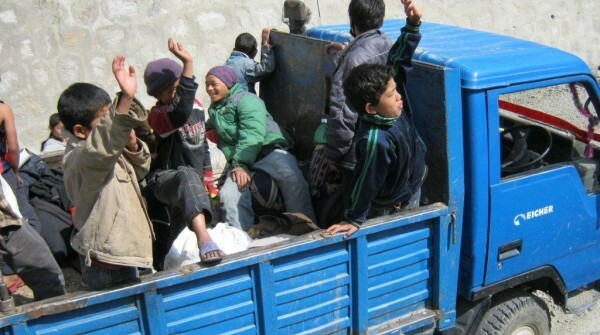 Over one year ago, Umbrella proudly proclaimed the return of 54 Umbrella children to their home district of Rasuwa. This was the first step in a new chapter in their life, which would reintegrate them their home communities and families. One year on, we are again very proud to announce that on 25 March 2012, our transitional home closed as planned, and the 32 Umbrella children who had being living there since moving from Kathmandu in April 2011 finally moved back to live with their families’ full time! It is a fulfillment of almost two years work and it is thanks to the dedicate and amazing work of Tsewang, our manager in Rasuwa, and the team in Kathmandu, that their next step will be that of them growing up surrounding by their families with Umbrella continuing to provide them with support and to regularly monitor their progress to ensure that they are fulfilling their potential. We held a small picnic for the kids at the end of their school year and we cleaned up and cleared out of the house. Then, the Umbrella children collected their belongings and their families came to collect our kids and bring them home. 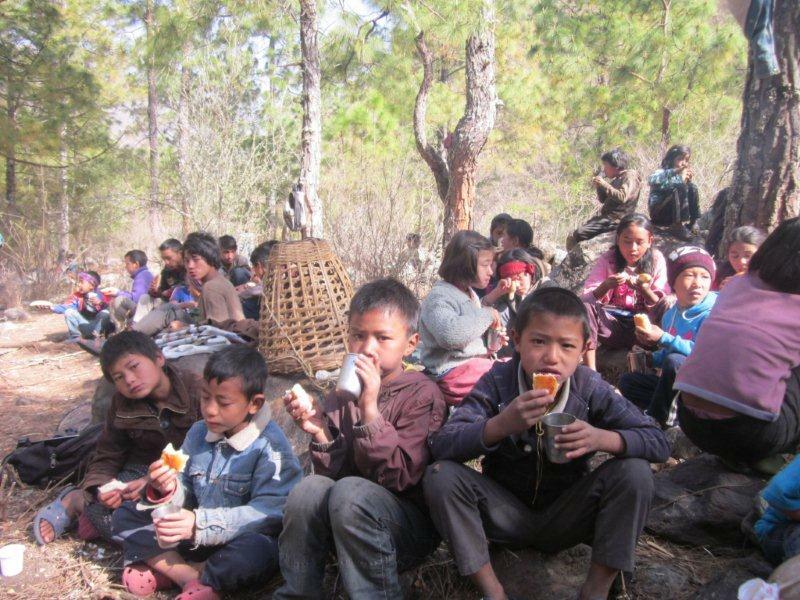 The children enjoying a farewell picnic in the forest!